What's In The Bible 1-13 Value Pack is published by Eden bundles and is our 13842nd best seller. The ISBN for What's In The Bible 1-13 Value Pack is EDENBUNDLE-1497. Be the first to review What's In The Bible 1-13 Value Pack! Got a question? No problem! Just click here to ask us about What's In The Bible 1-13 Value Pack. A:If you visit the pages on the individual DVDs, you will find a trailer for each one. Thank you for using the Q&A Forum. A:An order has been placed for the one Out of Stock DVD that will complete the bundle. It should be approximately a week before it is back in stock. Thank you for using the Q&A Forum. 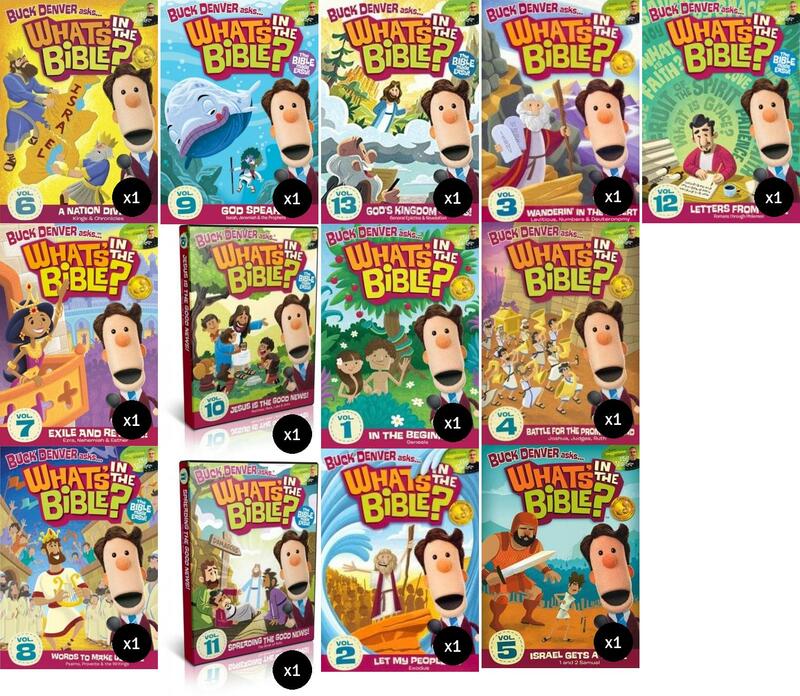 Whats in the bible volumes 1-13 value pack. A:The 'What's in the Bible' bundle is now back in stock. Thank you for using the Q&A Forum.